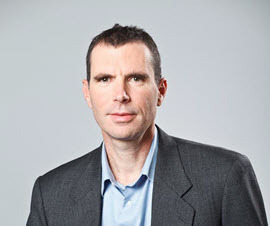 Yuval Bar-Gil has founded, guided and invested in start-ups, led mergers and acquisitions, and served as an executive at a Fortune 500 company. Currently, Yuval Bar-Gil serves on the board of several companies including WhiteSource, Soomla, Intendu, Evolero, and Equity Europe. Most recently Yuval Bar-Gil was an executive at Stanley Black & Decker which he joined as part of the AeroScout acquisition. As the CEO of AeroScout, Yuval Bar-Gil grew the company from inception to becoming the global market leader in Enterprise Visibility. Prior to founding AeroScout, Yuval Bar-Gil was a consultant at Bain & Company (London and San Francisco). At Bain, he advised LBO funds on investments in a variety of industries and developed business strategies for market leaders in several high technology industries. Earlier, Mr. Bar-Gil worked as part of a team at Elisra Electronic Systems that developed and marketed high-end electronic systems. Mr. Bar-Gil holds bachelor’s degrees with honors in Accounting and Law from Tel Aviv University. He also has an M.B.A. from The Wharton School, University of Pennsylvania.